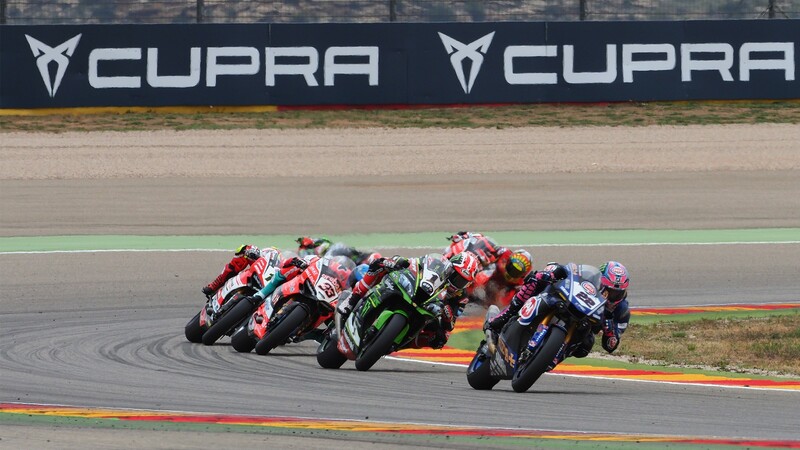 The new brand of CUPRA was debuted as sponsor of the World Superbike Championship at the MotorLand Aragón circuit last weekend, as the new CUPRA car was unveiled for the debut European Round of the season. held this weekend. Keeping the SEAT Leon CUPRA as the official safety car of the world's fastest production based motorcycle series. The SEAT Leon CUPRA will be seen out on the track for the warm-up lap of each race in all categories at a WorldSBK weekend. With 300 hp and an acceleration from 0 to 100 km / h of 4.9 seconds, this model has the necessary features to ensure safety during the 13 rounds of the championship. For the director of Strategy, Business Development and Operations of CUPRA, Antonino Labate, with this partnership, the newly created Spanish brand remains "faithful to one of its pillars as is the spirit for competition". "The goal of CUPRA is to captivate motor enthusiasts, such as Superbike fans, with whom we shares the values ​​of precision and sportsmanship." The sponsorship agreement with Dorna also includes the presence of CUPRA on the podium and the advertising billboards of the circuits where the championship will be played. "We welcome CUPRA to the Superbike World Championship," says Marc Saurina, Commercial and Marketing Director of WorldSBK. "The values ​​of CUPRA, fully fit with our championship, where the experience of fans is an essential part of our DNA." After the third race of the season at MotorLand Aragon, the World Superbike Championship still has 10 morerounds on the calendar, which will lead the SEAT Leon CUPRA to pass through 11 countries on three continents as an official safety car.